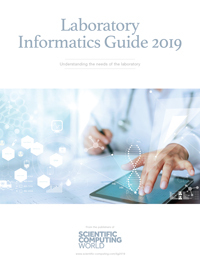 In the first of his reports from the 2014 Biomax Symposium Robert Roe reports on how informatics can enable predictive medicine. The promise of a more effective, personalised form of medicine is being handicapped because classical healthcare systems are unable to cope with huge amounts of data generated, so researchers are turning to sophisticated informatics tools. To realise the potential of systems medicine requires the use of geographical data, pollution, medical history, and even information from a patient’s genome. Delegates to the 2014 Biomax Symposium, held on 5 September at Martinsried near Munich, Bavaria, heard that by taking advantage of sophisticated informatics tools, such as Biomax’s Viscovery data mining suite and the BioXM Knowledge Management Environment, doctors and researchers can analyse this complex information to provide better outcomes for patients. This approach is opening up new avenues for the treatment of chronic obstructive pulmonary disease (COPD), according to Dr Emiel Wouters, from the Medical University at Maastricht. Wouters is also Chairman of CIRO+, an international centre of excellence for the diagnosis and treatment of COPD, based in the Netherlands. Wouters said: ‘25 years of knowledge clearly illustrates that COPD is more than airflow limitation, it is a multi-component disease condition with different respiratory impairments, with systemic effects, with comorbidities and we are all very aware that external environmental factors are very important, for example smoking.’ A condition like COPD manifests differently in different patients with considerable variation based on a number of complex variables such as age, physical activity, smoking, and environmental factors such as air pollution. In order to develop this new form of personalised medicine researchers and doctors at CIRO+ teamed up with Biomax. They created a data centre that could not only house large amounts of data but also mine that data effectively so that patients could be stratified based on pre-determined variables. According to Dr Klaus Heumann, CEO of Biomax, the system was configured based on the BioXM and Viscovery technologies for semantic integration and data mining. That means the CIRO+ configuration required no time-consuming software development, but was built and is continuously evolving by configuring the underlying platform through biomedical experts. This is a common idea in the field of predictive medicine: by collecting data and using data mining techniques, along with more classical approaches to medicine, researchers can begin to predict the most likely outcome before a patient gets to a critical stage. This allows a doctor to intervene earlier, which in turn leads to better patient outcomes. Dr Christophe Pison, from the Clinique Universitaire de Pneumologie, Grenoble, France, presented data from research into the prediction of chronic lung allograft dysfunction (CLAD). The study, focusing on multidisciplinary consortium Systems prediction of CLAD (SysCLAD), was set up with 14 lung transplant centres, four small and medium enterprises, and three academic platforms. It was funded by the European Union under the Seventh Framework Programme. The aim was to develop a predictive mathematical model to predict if patients are at risk of developing chronic lung allograft dysfunction within three years of their lung transplant. A theme common to both speakers was that the classical data that a doctor receives is not enough, especially for complicated illnesses with many factors to consider. A doctor may know if a patient smokes, as well as their medical history and some hereditary conditions, but many other factors play a role in these complex conditions. The team behind SysCLAD ‘put a large emphasis on environmental factors’ said Pison. To this end all information is geo-localised, so that a doctor can know if a patient lives in an area of high air pollution for example. Currently, there are no tools to predict the outcomes of LT patients apart from ‘retrospective analysis of registries, based mostly on clinical data from donors and recipients’ – something that is of no immediate help to patients that have already received a LT. According to the group, the predictive mathematical model will be derived from ‘the complete integration of extensive and diverse experimental datasets (clinicome, environmental data, omics, microbiome, and immunological assays) collected from both donors and recipients.’ This data will then be combined with data on air pollution as well as gene expression analysis of M1 and M2 lung macrophages and many other data points to create a more comprehensive understanding of how CLAD works. Informatics software can integrate all this data to make predictive medicine a reality. Pison illustrated the shift in emphasis by reference to his own career: ‘All my education was to intervene when the car was broken.’ But now, he explained, medicine looks to maintain and service the car rather than just wait until something has gone wrong.